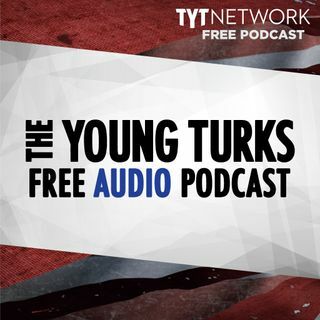 A portion of our Young Turks Main Show from February 7, 2018. For more go to http://www.tytnetwork.com/join. Hour 1: Ana, Mark Thompson, & Michael Shure. Congressional leaders unveiled a sweeping budget deal Wednesday that would add more than $500 billion in federal spending over the next two years, delivering the military funding boost demanded by President Trump alongside the increase in domestic programs sought by Democrats. White House chief of staff John Kelly said Tuesday that ... See More President Trump is unlikely to extend the deadline for work permits under the Deferred Action for Childhood Arrivals (DACA) program on March 5 if Congress has not reached a deal on immigration by that date. Hour 2: Ana, Mark Thompson, & Maytha Alhassen. Sheriff laughs at suspect being shot. Video of the crime. The sheriff then boasts about the killing. The Sheriff has been cleared. Buzzfeed investigated Tumblr to see if the site was susceptible to trolls posting fake news like Facebook during the elections.